Sorry for the two week delay. It's been very busy and we spent most nights last week looking for a new car rather than writing this post. 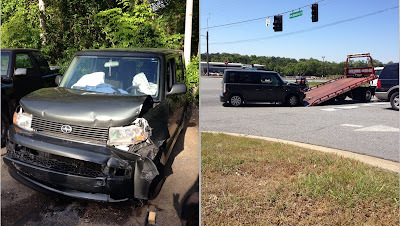 Ang and the kids were in a car accident on the 13th (not her fault) and our little lunch box Scion XB was totaled. Luckily, the car was the only thing injured in the wreck. The kids were shaken up but their questions far outnumbered their bumps and bruises. Ang was/is sore from getting hit in the face with an air bag but no major injuries there either. 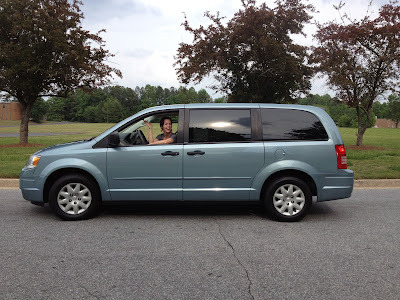 And, we're now the proud owners of a minivan :) So, we got that going for us. We'll just briefly take a moment of silence for our beloved Scion. Angie bought it a few months before we got married and I still remember getting the phone call on her way back from the dealership where she said "I just bought the ugliest car I've ever seen! I love it!" Patrick plays soccer. 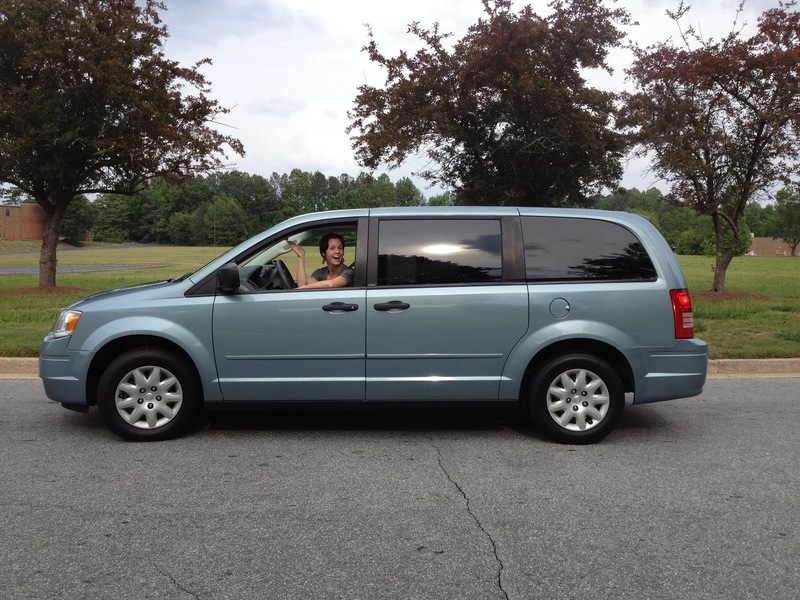 We have a minivan. I think our transformation is complete. But a post about Easter shouldn't be about a car accident so let's jump in to the 4 day long celebration! Since Ang and I both had Friday off work and knew that Saturday and Sunday would be packed, we decided to celebrate Easter on Friday morning at our house. The kids are young enough that they don't know the difference and it meant that we didn't have to rush our Easter morning. It was really nice getting to wake up and just take our time looking for eggs, opening the Easter baskets and hanging out as a family. On Saturday, we went to the Suskays' for an Easter egg hunt and a great lunch. The weather was perfect and we spent all afternoon out in the back yard. We all had a great time and the kids made out like bandits with even more Easter goodies. Sunday morning we got up bright and early to make it to 8:45 mass. Aunt Anna sang and we got to sit together as a family since I had played drums the night before. And look! We even got a picture where the whole family is both looking and smiling! An Easter miracle, indeed. We went right from church to the Beans' house where they hosted an Easter egg hunt in their back yard. It's been great to have our kids and Carson spend so much time together lately because as soon as they see each other they just start playing and having fun. They quickly formed Team Easter (at Patrick's request - he's big into teams) and hunted eggs all over the yard. Such a fun 4 days! Thanks to everybody who hosted Easter and egg hunts and made great food! Go team Easter! Here are a few more pictures from the weekend. Slideshow below; gallery here. You are defently right with a lot going on. Im sorry about the accident but we are blessed that no one got seriously injured. Love the new van. The picture of the kids on Easter are beautiful! They are truly growing up fast into little adult people. Love to all, thanks for sharing!